Wild ginger commonly found in the forests of the tropics, Wild ginger also proliferate on moor land around settlements, particularly on loose soil, so the rhizome fruit is evolved into a large . Wild ginger including herbaceous plant species, the stem tree-shaped pseudo-stem and can reach 2 meters tall. The leaves are wide and on each strands is connected to the midrib and leaf stalks rather long. Wild ginger has a uniquely shaped flowers (clustered) and have a dark yellow color. Wild ginger rhizome long been known as a medicinal herb. Scent and color typical of pungent Wild ginger rhizome, and flesh colored yellowish. Growing regions besides in the lowlands can also grow well up on the ground 1,500 meters altitude above sea level. Spleen pain, kidney pain, back pain, asthma, abdominal pain,Abdominal Pain during menstruation, Breast milk production, appetite, constipation, chickenpox, Sprue. Ingredients: 1.5 Wild ginger rhizome , 1 piece of palm sugar. How to make: Wild ginger thinly sliced and dry it. Once dried boiled with 5 glasses of water. until the remaining 3 glasses. Strain and drink. Ingredients: 1 Wild ginger rhizome, 3 pieces of tamarind, 1 piece coconut sugar. How to make: Wild ginger thinly sliced . aerating until dry. Together with other ingredients brewed with hot water sufficiently. filter and drink as usual. Ingredients: 1 Wild ginger rhizome. Method: thinly sliced Wild ginger. aerating for a while. Boil 5-7 glasses of water to boil, Filter. How to use: Drink 1 time a day 1 glass. Ingredients: 1.5 grated Wild ginger rhizome. 1 slice of coconut sugar, 2-3 tablespoons of dough sago. How to make: Wild ginger shredded. together with other materials boiled with 1 liter of water. till boiling. then filtered. How to use: drink 2 times a day, 1 cup each on a regular basis. Ingredients: 1 Wild ginger rhizome , tamarind 5 pieces, 1 piece coconut sugar. How to make: Ginger thinly sliced. aerating to dry. Together with other materials placed in the basin. Give two glass hot water. Cover tightly for 15 minutes, Filter. How to use: Drink 3 times, 1 time a day. 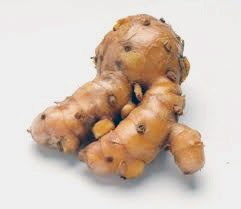 Ingredients: 2 Wild ginger rhizome , quarter of galangal rhizome , half handheld of Child pick a back leaves. Method: All materials are boiled in 3 glasses of water to boil down till remaining 2 glasses, and then filtered. Ingredients: 1.5 Wild ginger rhizome, 1 stalk ripe tamarind. How to make: Ginger sliced and dried. Both materials are boiled with 1 liter of water to boiling and filtered. How to use: Drink 2 times a day, 1 cup each, morning and afternoon. Ingredients: 2 Wild ginger rhizome, 1 handful of Tea Plants or Java Tea, 1 handful of Heartleaf maderavine madevine leaves. How to make: Wild ginger sliced, then boiled with other ingredients with 1 liter of water, Strain and drink. How to use: drink for 3 days. 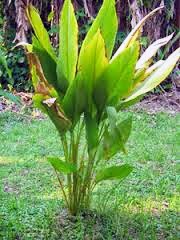 Ingredients: 2 Wild ginger rhizome , half of galangal rhizome , 1 handful of Child pick a back leaf. How to make: Wild ginger and galangal grated . All materials are boiled with 1 liter of water to boiling. Strain and drink 1 time a day 1 cup each. Ingredients: 1 Wild ginger rhizome, 3 pieces of tamarind. 1 piece palm sugar, and salt to taste. How to make: Wild ginger grated, boiled with other ingredients with 3-4 glasses of water to boil down till remaining 2 glasses. How to use: Drink 1 cup each, 2 times a day, morning and afternoon. Ingredients: 1 Wild ginger rhizome, as big as your thumb, 3 pieces of tamarind, 1 piece of palm sugar. Method: All materials are boiled with 2 glasses of water to boil down to 1 glass, then filtered. Flesh fruit of Wild ginger rhizome has several chemical compounds which include fellandrean and turmerol or often called the oil evaporate. 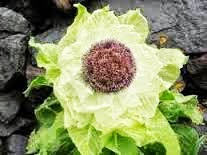 Then the essential oil, camphor, glucoside, foluymetik carbinol, and curcumin found in the rhizome of this plant useful as acnevulgaris, as well as anti-inflammatory and anti hepototoksik (anti poisoning of bile).